All Robert Plant, Honeydrippers items listed below are authentic and very limited. We do not carry multiple items. All prices and availability are subject to change. All prices include shipping and handling for all USA customers. All other destinations will require actual shipping cost to complete transaction. Have a question? Ask us before purchasing the item. Thank You. Description: Volume One Limited Edition 10" UK EP. Signed in blue paint pen. 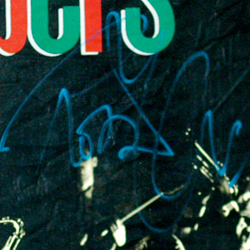 Note: This item signed by Robert Plant on his 1985 US tour at the Mandelay Hotel in Irving Texas. and by Jeff Beck on his 1989 US tour at the Fair Park Coliseum in Dallas Texas. Description: Robert Plant 1988 8x10 BW Promo Photo. Signed in blue paint pen. Description: Robert Plant 1988 Tour Book. 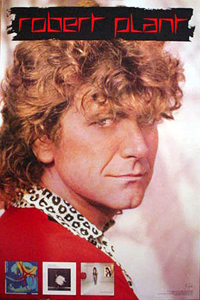 Description: Robert Plant 1985 Principal Of Moments Tour Book. 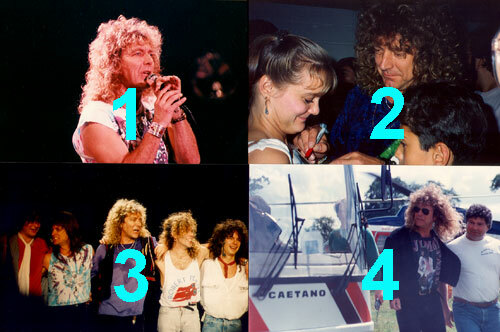 Description: 1985 Robert Plant book filled with rare photos. Note: This item sealed in mint condition. 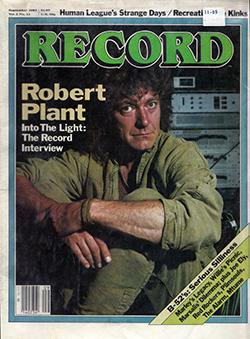 Description: 1988 Record Magazine featuring Robert Plant. . 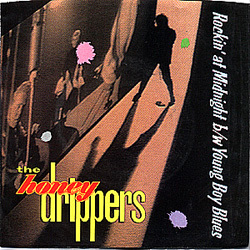 Description: The Honeydrippers Rockin' At Midnight promo 45 rpm. Item in VG+ condition. 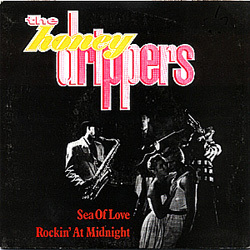 Description: The Honeydrippers Sea Of Love US 45 rpm. Item in VG+ condition. 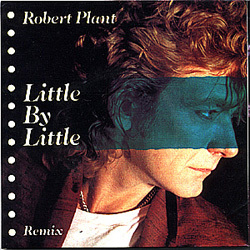 Description: Robert Plant Little By Little double EP 45 rpm. Includes two records. Item in mint condition. 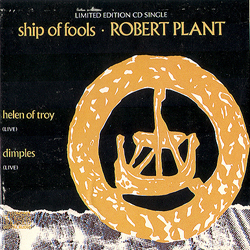 Description: Robert Plant Ship Of Fools single CD box. Limited Edition. Item in mint condition. 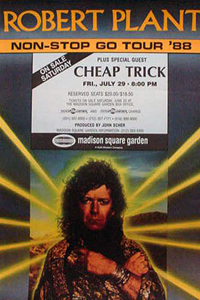 Description: Robert Plant 1988 New York City Original Concert Poster. Size 20x29. Item in mint condition. Description: Robert Plant 1988 Discovery Promo Poster #1. Size 18x29. Item in mint condition. 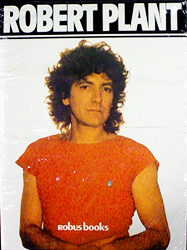 Description: Robert Plant 1988 Discovery Promo Poster #2. Size 23x30. Item in mint condition.